On Feb. 11, 2010, I returned to Mumbai after a reporting assignment in Hyderabad. A rare weekend off with family, it was also my niece’s birthday. I switched my phone to silent mode to avoid work-related phone calls and tried to play host to a bunch of kids who were home. My friend Shahid was 32. He had been killed. He had met the fate that he had so often discussed over telephonic conversations, samosas at the Army restaurant next to sessions court or our last lunch at Café Samovar, the iconic restaurant adjacent to the Mumbai sessions court. “Let’s see, how long am I allowed to live?” he would often say, casually. Shahid was gunned down in his office by members of a lesser known off shoot of the infamous Chhota Rajan gang–a mafia group, whose relationship with a premier intelligence agency of the country was no secret. The motive for his killing was said to be his representation of the alleged co accused in the 26/ 11 terror attacks of Mumbai. I first met Shahid in 2008. Journalists and writers fascinated him, which is why he felt compelled to study journalism after he was released from Tihar Jail in New Delhi. Fate had a knack of being unkind to him. In the aftermath of the communal violence in Mumbai in 1993, Shahid had escaped to Kashmir and spent a few months there. On his return in 1994, Mumbai police arrested him, charged him as a terrorist involved in the Kashmir insurgency, under the draconian Terrorist and Disruptive Activities (Prevention) Act. The act was repealed a year after his arrest on account of its blatant misuse. To strengthen its case against Shahid, the police charged him with a conspiracy to kill radical Maharashtra leader Bal Thackeray and Farooq Abdullah, the former chief minister of Jammu and Kashmir. The evidence against him was a confession he never made. It was the intervention by the Supreme Court in 2001, which had him acquitted of all charges after having spent six years in jail on the charges of being a militant. UTV Motion PicturesRaj Kumar Yadav in the film “Shahid”, directed by Hansal Mehta. On his release from the prison, he studied law at Mumbai University. In 2004, he began practicing as a lawyer in Mumbai courts, taking up cases of civil rights abuses. Over the next few years, he rose to be a revered figure among other lawyers and the legal staff at Mumbai courts. They mostly addressed him as Shahid bhai, the brother who could do the impossible. His childlike face hid his burning desire to reach out and offer some sense of power to the powerless. He was a consumer of ideas, and that explained his insatiable love for reading; his cabin was stacked with Tolstoys, Martin Luther King Jr., Gandhi and Vivekananda. A copy of the Koran was placed above one of the cupboards. When he was arguing the case of an alleged Maoist rebel sympathizer, I could barely hear him during the trial; he was so soft spoken. But I could see the judge listen in rapt attention. This judge wept bitterly when I met him after Shahid’s assassination. Such was the impact Shahid had on most lives. As I began to interact with Shahid, I sensed a growing disillusionment in the man who would bring hope to hundreds of people. He was bogged down by the silent witch hunt carried out against him by small-time underworld dons at the behest of intelligence agencies that benefited from putting an end to his efforts to represent those accused of being terrorists. In a legal career that lasted seven years, he secured seventeen acquittals, a rare feat especially in cases that police and intelligence agencies believed to be foolproof. Shahid fought high-profile cases like the 2006 Mumbai train blasts case. He secured acquittals for several accused in by convincing the courts that the accused were wrongly booked under the controversial Maharashtra Control of Organized Crime Act, which allows confessions acquired in police custody to be used as evidence against the accused. While addressing students of the Tata Institute of Social Sciences, he would remark, “Injustice was not just in criminal cases; it was everywhere.” He was a guest lecturer on human rights at the Tata Institute. He had grown up in a poor family near the premier institute and aspired to study there. Those days, I had been reporting on Faheem Ansari, an Indian man who had been arrested for alleged involvement in the 2008 Mumbai terror attacks. Convinced of her husband’s innocence, Mr. Ansari’s wife, Yasmin, had been running around to get legal assistance for her husband, but had little resources. When she got in touch with me, I recommended several famous human rights activists and lawyers. They shared her belief that Mr. Ansari might be innocent, but justice had to come at a cost. Their fee was in the range of 300,000 to 500,000 rupees ($4,900 to $8,200). Around that time, Shahid was gaining prominence for securing acquittals for those wrongly arrested in the 2006 Mumbai blasts. Yasmin met him and discussed the details of her husband’s case. Shahid agreed to represent her husband. A few months after Shahid’s murder, a Mumbai court acquitted Mr. Ansari. At Shahid’s funeral, as Yasmin sat next to me, she asked me gently, “Why did Shahid bhai have to die?” I did not have the heart to tell her that this was a destiny Shahid had embraced. I met Shahid a week before he was assassinated. He had just returned to Mumbai after meeting the Maoist rebel leader Kobad Ghandy in prison. Dozens of students in the interiors of Gadchiroli and Chandrapur in Maharashtra had been arrested on charges of being Maoist insurgents. And what was the most prominent evidence against them? They had stacked books on Bhagat Singh and Chandrashekhar azad, both revolutionaries of the Indian independence movement. 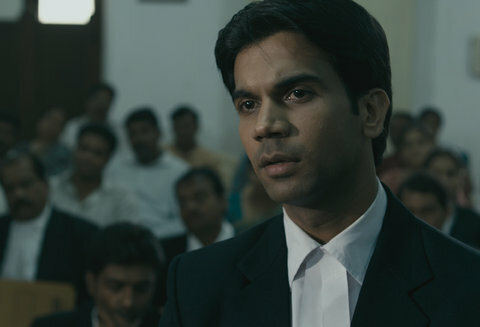 Last week I saw Shahid again—in Hansal Mehta’s biopic, “Shahid” which tells the story of the slain lawyer’s life. Rajkumar Yadav, the actor who plays Shahid, brilliantly essayed his role. It is a brave and worthy tribute to his work and courage. Rana Ayyub is a Senior Editor with Tehelka magazine. Pity that there are very few daring persons than there are cowards. But courage spreads deeper into our hearts than cowardice which also is infectious indeed. After all it is worth living fewer days than living longer like a coward.